This would be my second time racing at Glorieta camps. www.TooCoolracing.com was putting on their second race at this site and that is great fun to me, because this is a new area to race in. 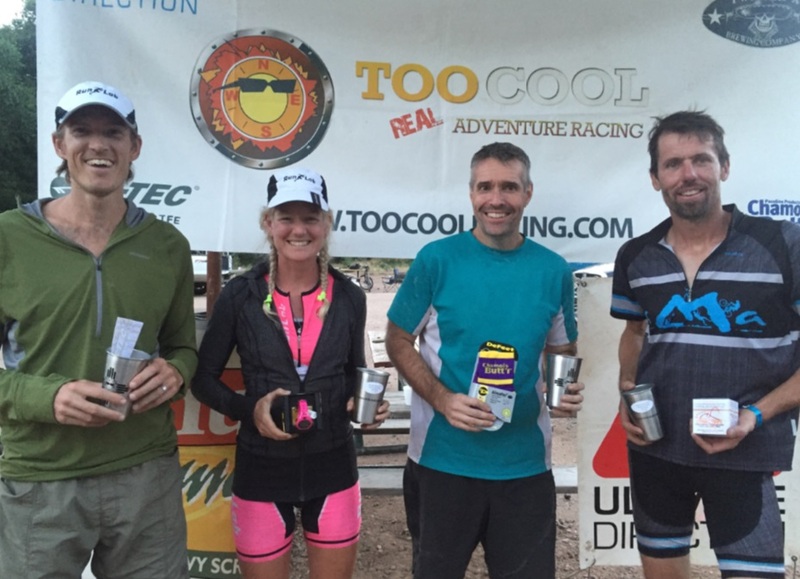 It really keeps the sport of adventure racing exciting compared to when you're racing in an area that you know too well. This year, Team Vignette would be a whole new squad. Myself, Kim Davis, Chris McWaters, and Keith Pitman. I have raced with Chris a few times, but never with Kim or Keith. I will jump to the end and say this team rocked and we all had a great time all day. There were no other four person teams who entered this race, so the race directors (Art and Robyn), suggested we split into two two-person teams. So we did on paper, but we raced together as one team the whole day. Glorieta camp is located just outside of Santa Fe on the southern edge of the Santa Fe National Forest. The camp is located at 7500' elevation (which is really the lowest point in the race, so all the race takes plus "up" from camp). This much elevation is an added challenge for my team which is mostly from the Austin area, (and we all live under 1000' of elevation). Also showing up for this race was one of the original founding members of team Vignette, Kipley Fiebig. He was racing as a solo racer. Good to see another racing buddy out there. The race would start with a "scramble" to do some activities around the camp. There were two races going on at the same time: A 12 hour version (which we were competing in), and a sprint race which was 6 hours long. Once we opened our maps, we saw that we had to visit a few places around the main camp and do a few fun activities. The first place we visited was the zip line as ropes stuff tend to really back up. Kip decided to join us for this first foot section, so that was cool. We were the first teams to hit the ropes so no bottlenecks. After the zip line then it was off to a pump track, where we rode an off road scooter on some trails. After that we climbed up to a big hill to the camp "lookout" point. From there we got a great view above camp. We then just blazed our own path down the steep hill back into the main camp where we completed our final task which was riding a big wheel bike up and down a hill. Brings back fun memories of being a kid! Kip took a spill on his scooter and busted his knee open and got good and bloody! 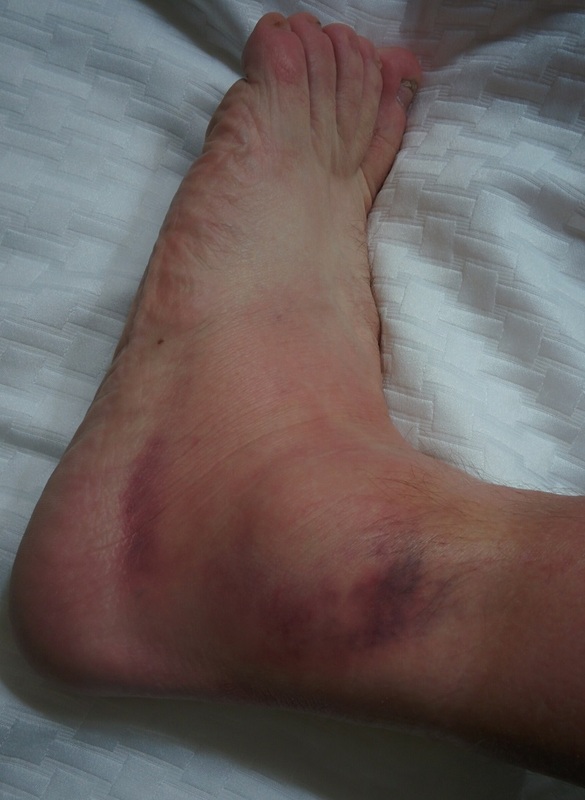 Kip was also racing with a swollen ankle, though that injury occured before the race. Including these pictures because Kip requires sympathy. On to leg 2, which was a biking section mostly near the main camp. Kip told us goodbye as he has not done any bike training in years and felt he could not keep up with us. Like most TooCool races, you can find the checkpoints in any order you choose (which adds to the fun). On this leg, there was a rappel section so we wanted to get that early before it became a bottleneck. We grabbed one bike point along the way to the ropes. At the ropes, we had to climb a hill then rappel down back to terra firma. This is always fun. As I was starting to rappel, I saw Kip pulling up on his bike. With the Rappel done, we hit the bikes for a basically CCW loop around the perimeter of the camp. We had a few steep bike climbs up hills, but knew we would. We passed Kim's husband who was racing as a solo in the 6 hour race. (Yes, Kim is faster than her husband... and me). Our loop went really well, until I snapped the chain on my mountain bike. I would like to think it is because I make huge power, but sure that was not it. The good news is that I carry a part in case this were to happen, so 3 minutes later we were back to riding. We hit all the points no problem and were the first team back from this leg also. Leg 3 was a swimming leg. There is no real sizable water in this area, so no paddling in this race. 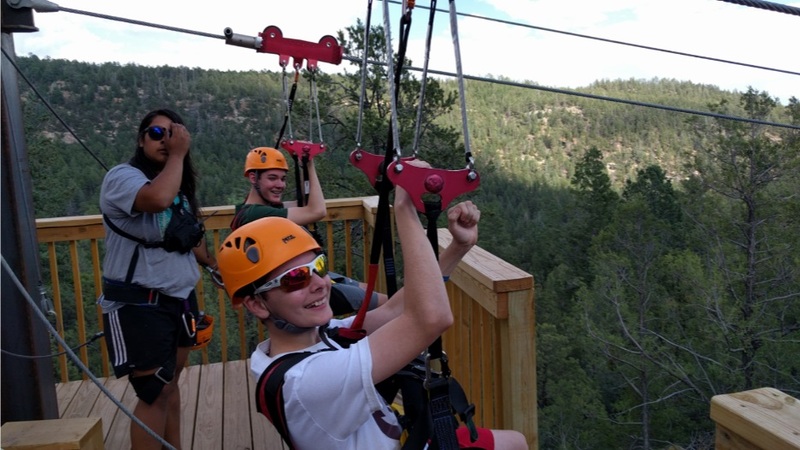 We had to do some fun stuff like go down a large water slide, ride a zip line into the water, and then swing off a big trapeze from a tall platform. All fun! Leg 4 was a trekking leg with only 3 checkpoints, but we had to gain lots of elevation to get to them. We hit the far point first: #17, then backtracked to 18, and ended with 19. The day before the race Keith and I had done the high 5 zip line tour which started only a couple hundred meters from CP 19. In that excursion, they drive people up the mountain so you just zip line all the way down. So, I knew there was a road. We basically headed to the road and ran it down the mountain back to camp. Kim was helping me co-navigate all day which helped us hit all these points navigationally perfect. Team taking a shady rest break and letting Chris nav during rest time! Leg 5 was the real challenging leg on this race. This was a bike/trek leg, meaning you can ride your bike or trek, or a combination to get to the CPs. We planned a route, which was not terribly long mileage-wise, but it had a very large amount of elevation gain over short distances, which means likely pushing bikes up a mountain. First point we went for was #21, the entrance to an old mine. It was only about 5k to the mine, but took about 40 minutes due to all the elevation gain. This point was in a very beautiful area with some nice views! Now it was time for the real work. 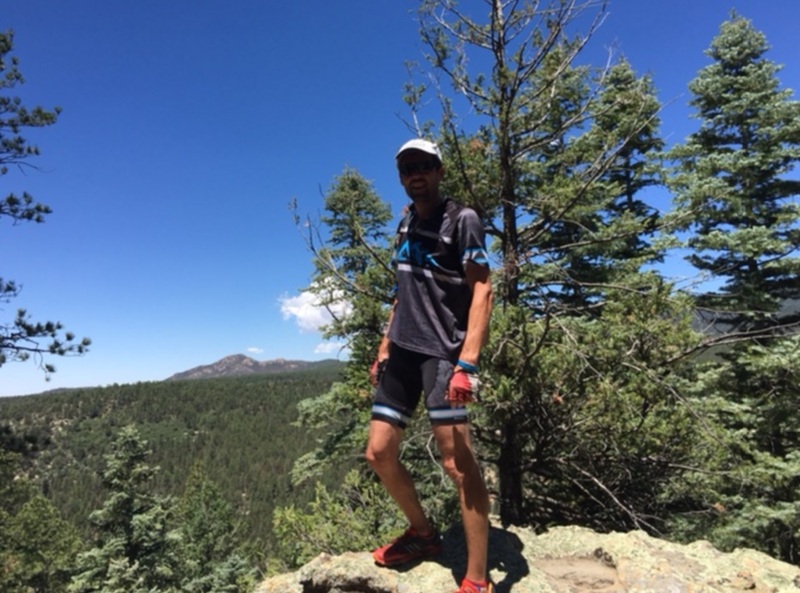 We had a loop up to CP 22 which was up at Glorieta Baldy Peak at about 10,200' of elevation. Much of the trail to this point was narrow rocky singletrack and too steep for anyone on our team to ride, so we pushed bikes up the hill for a long while. Chris is in super shape and offered to carry my pack, so I let the young guy carry my backpack up the hill. It was only a few pounds, but it sure makes a difference. It took about another 1:15 to get all the way up this hill (only about another 5k) due to the very steep trail. From here, we sure had one heck of a view. The weather was super great with a breeze and sub 70s temperatures (it was 90+ down at camp!) I am going to say the thin air clouded my brain and we made a navigational mistake. 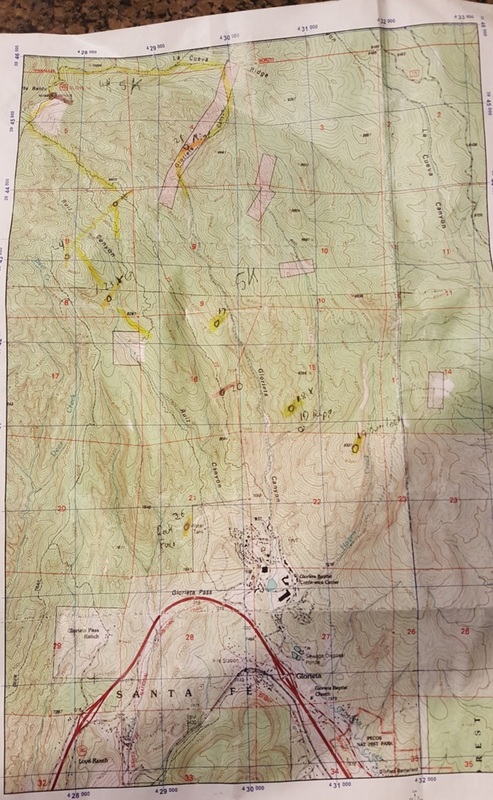 The map showed a trail off to the SW heading back to camp. At the lookout, there was a trail going mostly SE (and was not on the map at all). We took the SW trail but never found the turn we looked for. We only went about 1 km, but stopped a couple times to try and look for the turn. We ended up hiking back up to the lookout and taking the SE trail which eventually did curve around and join up with the trail on the map. The problem with our mistake is we dropped a LOT of elevation in the 1 km in the wrong direction so we had to hike back up... Oh well, that is racing! Once on the correct trail, we had some brake-pad-burning crazy steep decents. We stopped quite often to regroup and let the brakes cool a bit. 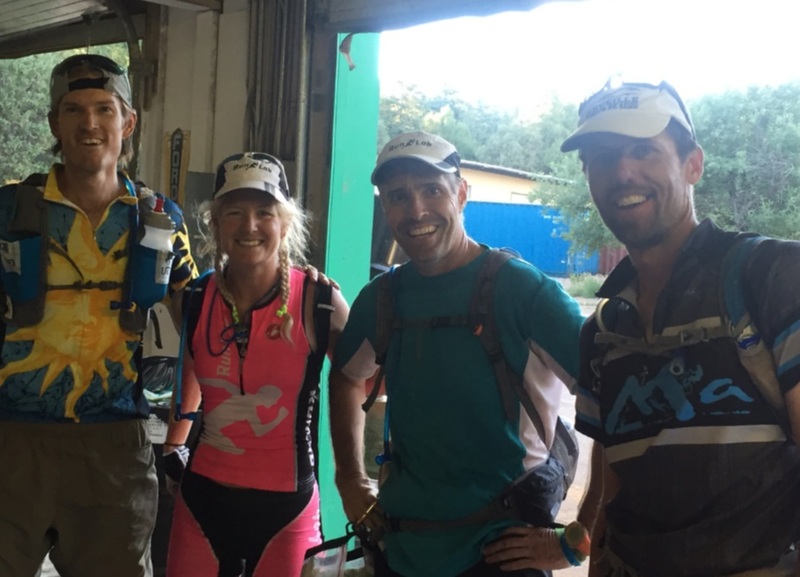 As we approached the final point on this leg (#20), we came across team Darby. I asked if they were going to the top (a long way from where they were), and they said they might. I was unclear by that comment, but Darby later told me they planned to bike up this trail and then go cross country to find the mine checkpoint (but I don't think it worked out). We zoomed back into camp and got ready for our final leg. 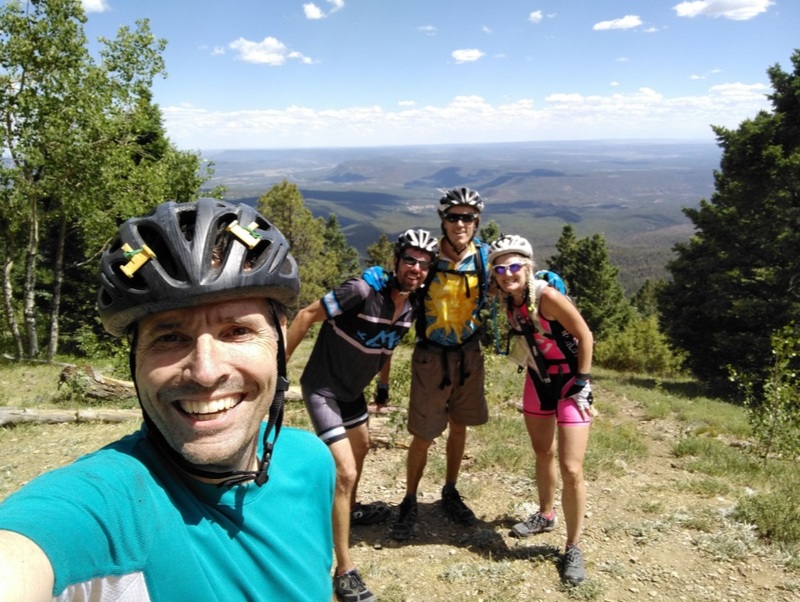 Team shot at top of Glorieta Baldy Peak. You could see a long way from up here. 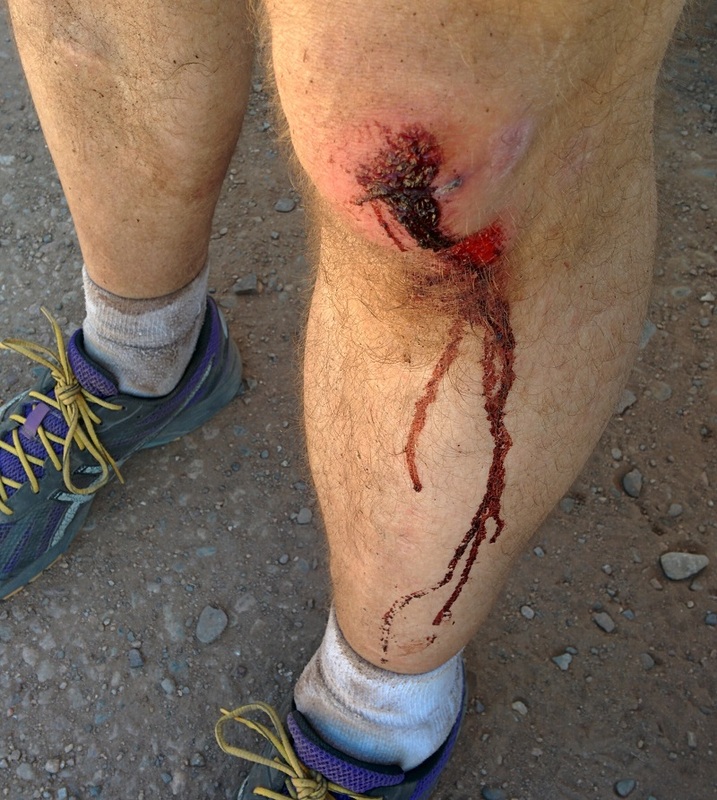 Leg 6 had 4 points and it was a trekking leg. With our hour mistake (had to be the thin air), I really saw no way to get all 4 points and get back before the race cutoff. 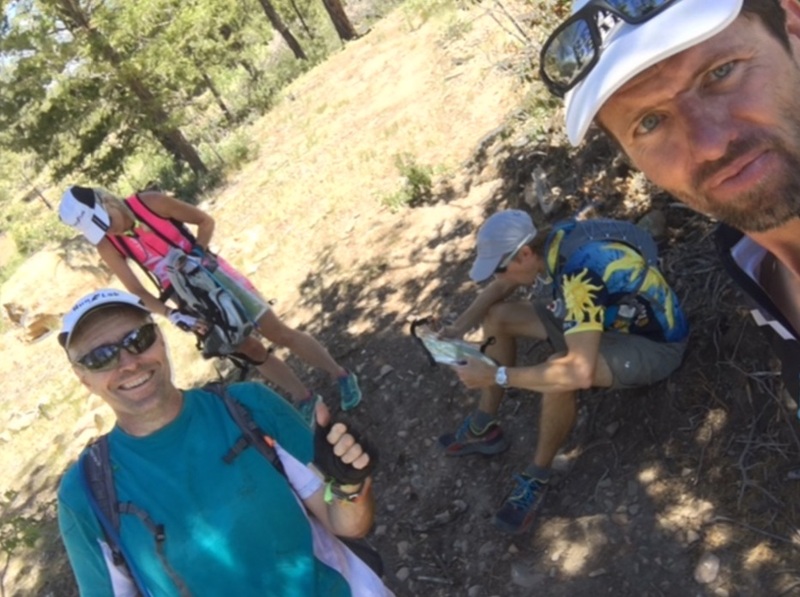 The race directors told us the next closest team was about 2 hours behind us, so with that information, we felt it was highly unlikely that anyone could catch us. The race is scored by whatever team gets the most checkpoints, with ties broken by time to finish. So if we get 20 CPs in 10 hours, but another team gets 21 CPs in 12 hours, then they win due to having more CPs. Our team had all possible CPs up to this point, and I figured one would be enough, but we wanted to get as many as possible to be sure. One point (#26) was not too far away, so we hit that one. It was now a few minutes after 6 pm and we had an 8 pm cutoff. I suggested we head towards the final 3 points, but we needed to turn around by 7 pm to make sure we were back in time. We actually held a pretty fast walk and occasional jog up towards #23. Of course it was all uphill. We hit #23 just perfectly. It was now about 6:40 pm. Looking at the map, we were only a km away from #24, but of course it was all uphill and through the woods. We decided we would just head back to the finish, and so we did. Once back at the finish line we were told that the team that was behind us still had not returned from the long bike leg so at this stage, there was no way they could get in and get more than 2 CPs on this last leg. So our "two" teams were declared the overall winners, as we happened to tie with ourselves. Wow, what a fun day, these teammates I got to race with were all awesome 100% of the time. It sure makes racing fun when everyone is laughing and happy the whole race! A few prizes and sponsor banners!